As the battle against payday loans continues, the Big Banks are yet again on the spotlight, this time, they promise to exit their version of payday products, the so-called deposit advances. The payday loans continue to hurt the finances of many people, but consumers are still prepared to use the services because some do not have other options. For institutions like banks, which operate under specific regulations, offering products that resemble payday loans has not been received lightly. The consumer advocacy groups have all along been campaigning for the banks offering the deposit advance loans to stop doing that. These loans offer sky-high fees, and are termed as predatory as the payday loans. The version in which banks offer the payday loans follows similar features to those found in typical payday loans. The bank’s deposit advance loans are as bad as payday loans because they usually carry steep fees. Many borrowers cannot afford to pay the fees charged by the banks on advance deposit in time. The date for payment of the deposit advance coincides with the paycheck time for the consumer or the days when government benefit payments are done. 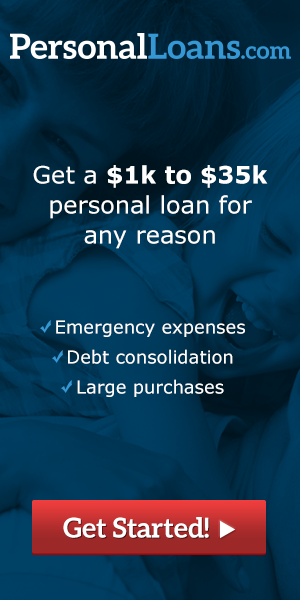 The consumer advocacy groups have also noted that the bank’s advance loans are made to mature in two weeks or one month, and this is typical of the payday loans. Since banks have access to the accounts of the consumers, they pay themselves back directly from the checking accounts of the borrowers immediately their next recurring direct deposit is made to their accounts. Owning to the pressure put by the consumer advocacy groups and other institutions like the Federal Deposit Insurance Corporation, banks have had to give up in their advance loans business. Some of the banks, which have stopped offering those loan products, include the U.S. Bank, Wells Fargo, Fifth Third, as well as the Regions. The short-term deposit advance loans are offered to consumers to pay in the next paycheck. The loans are typically a few hundred dollars or less than that. They are automatically repaid after one week or one month from the customer’s checking account, and the money is deducted after the pay period. The loans carry triple-digit interest rates when annualized. Although the payday lenders and the bank’s offering deposit advance have constantly insisted that these loans are made for short-term use only, the structuring of the product does not make it possible to be used as a short loan. Consumers will always find themselves in need of the same service again not because they are enjoying it but because they have been trapped in a cycle of debts. Therefore, technically, the deposit advance and payday loans are not short-term loans but deceivingly long term lending products. In a report presented by the Center for Responsible Lending, it indicated that the deposit advance loans issued by the banks carry averagely 10 days term, and the fees range from somewhere around $10 for every $100. This fee, when calculated on annual basis shows that the borrower pays about 365% in annual percentage rate. This entry was posted in Uncategorized on February 4, 2014 by Kyle Burton.